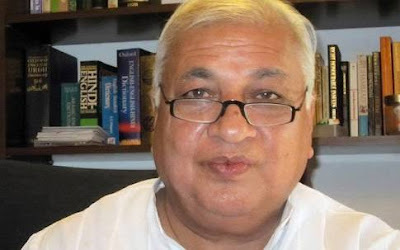 In an usual defence of former Prime Minister Rajiv Gandhi, Arif Mohammad Khan, the UP politician who quit the Rajiv Cabinet in 1986 over its stance on the Shah Bano case, has said that he does not "believe that Rajiv Gandhi took the decision to overturn the Supreme Court verdict" on the case "on his own." Khan, who joined the BJP in 2004 but quit the party "on being ignored" in 2007, has said in an interview that Rajiv "had a modern mind and was averse to obscurantism", underlining, "I have, in fact, seen Rajiv Gandhi’s noting on the file, in which he had clearly written that 'there should be no compromise with obscurantist and fundamentalist elements'." 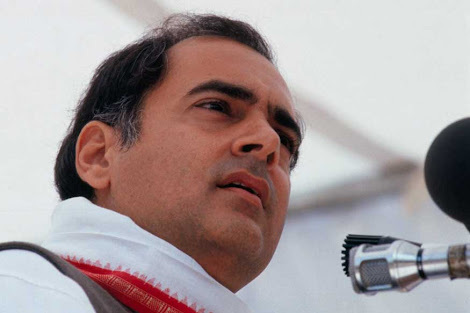 Khan says, Rajiv, in fact, was "pressurised" to bring in a law to overturn the Shah Bano judgment, which had sought to favour maintenance to an aggrieved divorced Muslim woman. The law, the Muslim Women (Protection of Rights on Divorce) Act, offered her a monthly maintenance of mere Rs 179.20 to 68-year-old divorcee Shah Bano. The most important aspect of the new law was the right to maintenance for the period of iddat (the period a couple is supposed to stay together before final separation) after the divorce, and shifting the onus of maintaining her to her relatives or the Wakf Board. It was seen as discriminatory as it denied right to basic maintenance available to non-Muslim women. According to Khan, the pressure in an election year came from "the likes of PV Narasimha Rao, Arjun Singh and ND Tewari, then ministers in the government", adding, "They were of the opinion that it was not the job of the Congress party to reform Muslims; 'if they want to lie in the gutter let them be'." Recalling that the pressure came against the backdrop of "the communal poison" injected by "the aggressive and abusive language used by leaders like the Shahi Imam of Delhi", Khan said, the Imam "threatened to break the legs of those Muslim MPs who were opposed to the Rajiv Gandhi government’s decision to overturn the Shah Bano verdict." Pointing out this "vitiated the atmosphere and led to a tremendous backlash", and to balance it, "they ordered the unlocking of the Babri masjid", Khan added, "The constant appeasement of obscurantist and hardline elements has done more harm to Hindu-Muslim relations than anything else." Khan, 66, who currently is involved in writing work, and runs Samarpan, an NGO for physically challenged people, calls the five-judge Supreme Court bench judgment of August 22, 2017 nullifying instant talaq "historic", which will have "far-reaching consequences", empowering and emboldening women "not just Muslim women but women across religions". "Muslim women used to grow up with the sword of rejection and humiliation hanging over their heads. They used to be at the mercy of their husbands, who could, with the aid of the mullahs (clerics) get away with abandoning them at will, but that will no longer happen", he believes. However, Khan refuses to give credit of the judgment to the Modi government or the BJP, pointing out, "It’s not right to look at it (the judgement) as a victory for the government or a political party. In fact, the first government affidavit on this issue was a very weak one, where the government said it would talk to everybody and then take a position." He emphasizes, "It was only after the Supreme Court pointed out that their position was at variance with their stated position that Mukul Rohatgi (then attorney general) filed a second affidavit." On the issue of coming up with a uniform civil code, Khan says, "In a secular democracy, laws are meant to be uniform, where all citizens have equal rights and obligations. It also means that neither will laws prohibit people from following their religious practices nor will the state force everybody to follow a particular practice." He adds, "A uniform civil code can only come through consultations. It does not mean that people of different religions will have to perform marriages in a particular manner." Quoting Guru Gowalkar, founder of RSS, he says, it has to "take into consideration the sensitivities and diversity of India." According to him, "The Hindu code bill is not product of the shastras (scriptures), it has borrowed from different religions. For instance, a daughter’s share in property and meher (a mandatory payment) have been adopted from Muslim law. While the provisions of the Hindu code bill are also applicable to Jains and Christians, they retain their identities."